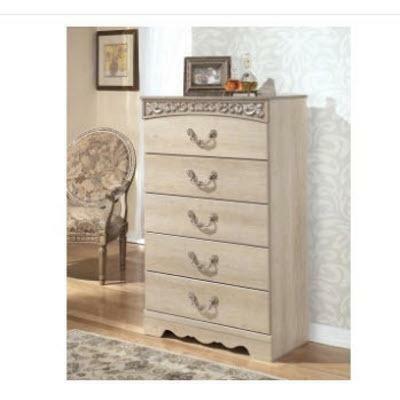 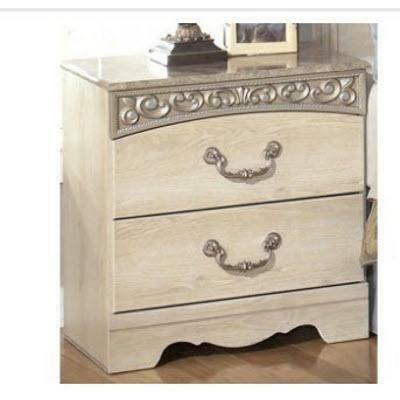 Alive with a light elegant style, the Catalina Nightstand is bathed in an airy opulent finish that beautifully accents the deeply carved scrolling motif with champagne color tipping and the ornate flowing headboard and mirror inserts to create the perfect traditional setting for your bedroom's decor. 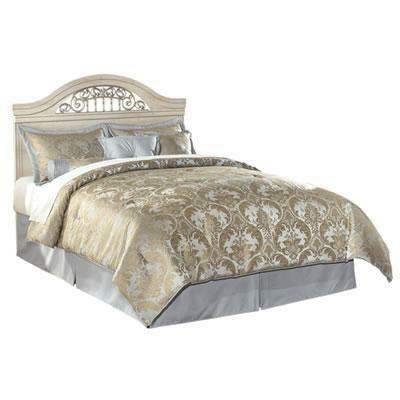 The Signature Design Catalina queen headboard and frame combines the very best of traditional style. 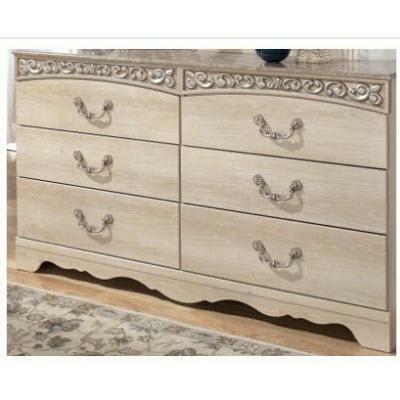 Faux marble accents, reeded detailing, scroll moulding and an antiqued finish make for a richly coordinated ensemble. 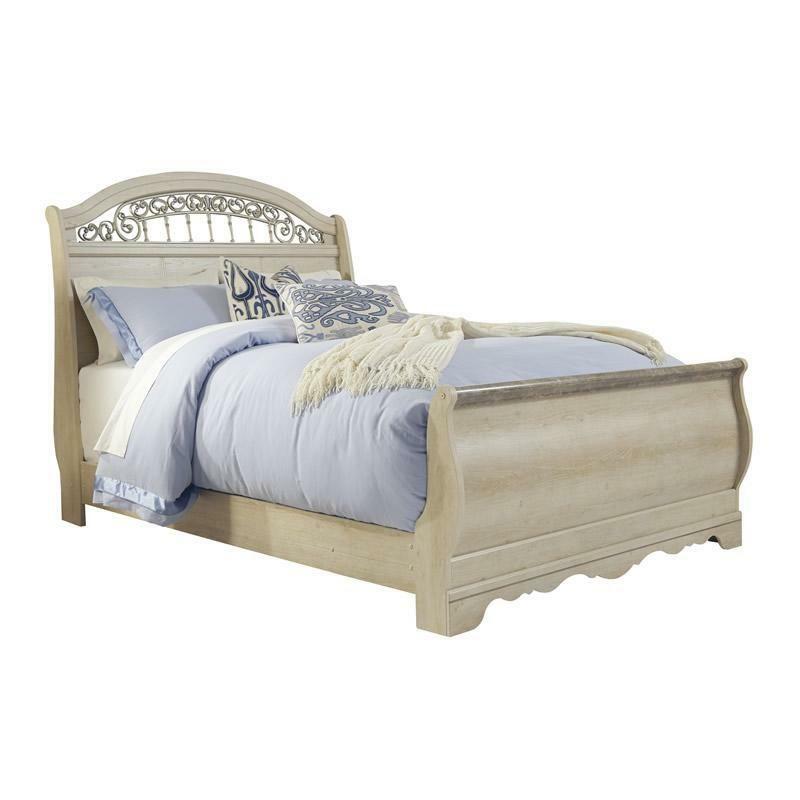 The Signature Design Catalina full headboard and frame combines the very best of traditional style. 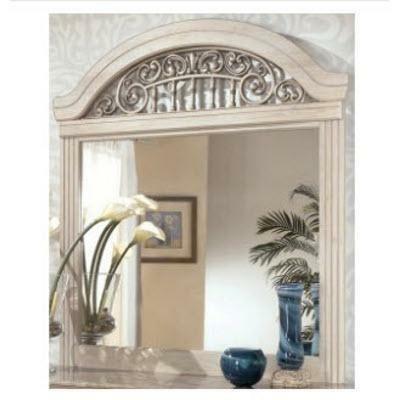 Faux marble accents, reeded detailing, scroll moulding and an antiqued finish make for a richly coordinated ensemble.